It was World War II and German planes were dropping bombs on England. In one town, the noise and vibrations from the explosions were so frightening that a little hen, Henrietta, could not lay eggs. The old woman with whom Henrietta lived decided that if Henrietta could not provide food, she must become food herself. Poor Henrietta was to be cooked! 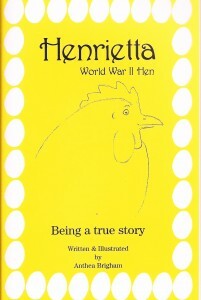 But along came a kind lady who packed Henrietta onto a train that carried the nervous hen to a farm far from the bombing. 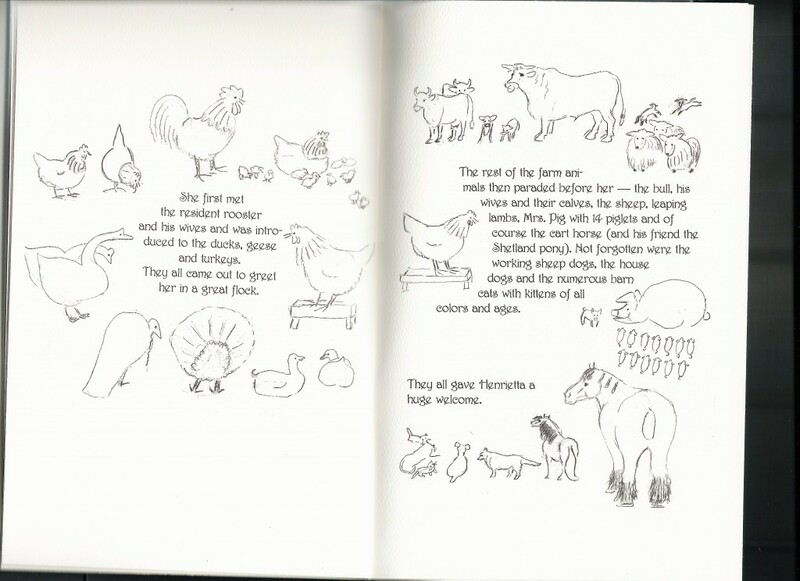 Henrietta quickly became friends with all of the farm animals. Soon she was able to lay eggs – and was happy to contribute to the war effort once again!